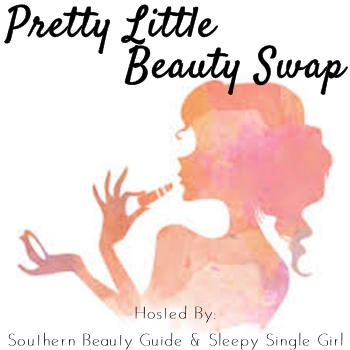 Never heard of Pretty Little Beauty Swap hosted by Justine from Sleepy Single Girl and Chelsee from Southern Beauty Guide? Have you been living under a rock? Haha. Joking! Well, it is a really fun swap that you can sign up for. You get paired with a fellow blogger and get to know each other. You have about a month of correspondence then you mail each other a box of goodies. Sounds fun, right? It is! This is the second time I've done this. Continue reading to see all the goodies I got! This year I was paired up with Chelsee from Southern Beauty Guide. I was super excited because I'm a huge fan of her blog. I could always sense she was super cool (you know, my spidey-sense) but after emailing back and forth I found out not only is she super cool, but she's super sweet as well! I'll admit I was a bit of a flake at times. This past month I have been working crazy over time hours as well as had midterms, yikes! However, I managed to squeak in as many email replies as I possibly could. When I opened the box I actually giggled a bit to myself - awkward, huh? Well it's because on top was a cute little card with a red envelope and an adorable gold stripe card. I put a card on top in her box that also was in a red envelope with gold lettering on the card. We're twinsies! Ok, sorry. Is it odd that I am slightly fan-girling because I have her signature? Ok, mildy creepy. Moving on. I had an idea of what might be in the box based on our conversations, and boy was I super happy! On top was an adorable Ipsy bag (which made me kind of sad that I unsubscribed to it a while back) filled with goodies. Here's what was inside - 1 liquid eyeliner, 1 pencil eyeliner, and 2 shadow bases in colors that I love because I'm a sucker for browns, neutrals and metallics. It's like she read my mind! Underneathe the Ipsy Bag was something that made me make an odd high pitched noise that made my dog turn her head sideways at me - a Z pallete and Makeup Geek eyeshadows. Eeeeeeep! I have always wanted one, but for some reason couldn't muster up the strength to click "buy" online. Why? No idea! And it's the perfect size! So adorbs! Yes, I'm making that a "thing" to say now. I have never owned or tried any Makeup Geek either. Super stoked! I must start a collection now. I will blame her when I am up to my eyeballs in shadows, hehe - I kid, but seriously! She got me the shades Cocoa Bear, Peach Smoothie, and Corrupt. Now I won't feel like such a clueless dweeb when watching Youtube videos and people reference those shades. I'm a cool kid now! This is such a great idea! I love getting to know fellow bloggers. It is like a sense of community and us sistas got to stick together! I loved getting to know Chelsee and I also love any excuse to go shopping. I'll admit I kept having a "writers block" version during my shopping escapades, but I hope she enjoyed her box. Thanks again Chelsee! Be sure to go check out her blog! Yay! Haha total twinsies! I am so happy I was able to introduce you to Makeup Geek! I totally know the feeling, Jaclyn Hill seriously got me hooked with MUG. These shades are staples in my collection. Have you swatched corrupt? It is seriously the darkest black ever so lady you have so been warned. I still can't believe you didn't have a z-palette! I love that we have so much in common! I think we both had quite the busy month which kept us from being able to talk to much. We will have to exchange #s bc we both seem to fail with emails lol I have enjoyed getting to know you and feel we can truly be bloggy besties! I hoard makeup. 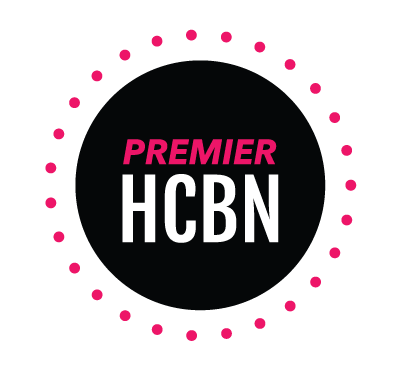 I love trying out different brands and this brand has such nice items. I like the eyeliners and wear eyeliner every day! And the eyeshadow colors are amazing!